Plotters and visitors may have noticed some changes around the Community Garden and Orchard of late. With funding from Aberdeen Greenspace and help from Aberdeen City Council we have been able to define better the planned Primary Plot, add a new field drain and sump to improve drainage in the area and build up the road to level the area between this area and the Polytunnel. 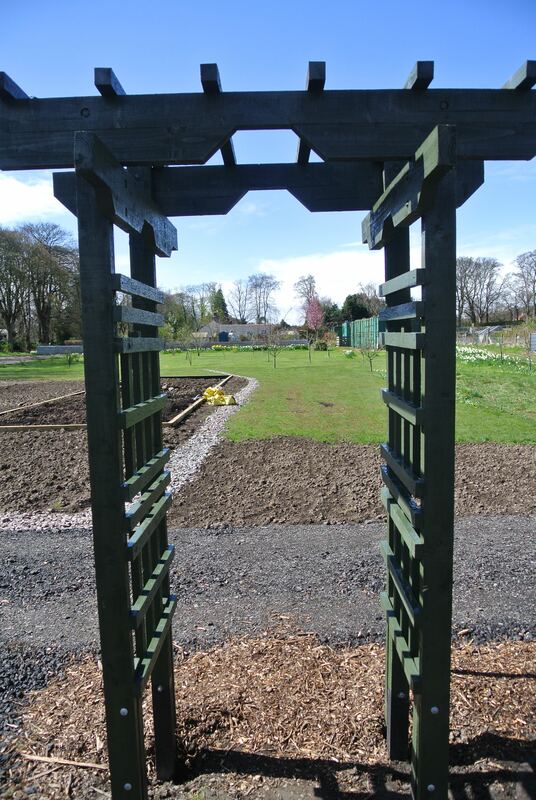 Our collaborations with HMP Grampian have borne fruit with the provision of a pergola and a set of garden benches. Work is still ongoing and dependent on securing appropriate funding, but we hope to see further exciting developments in this area, including provision of a disabled toilet and a gazebo for use by plotters and visiting groups in the future.